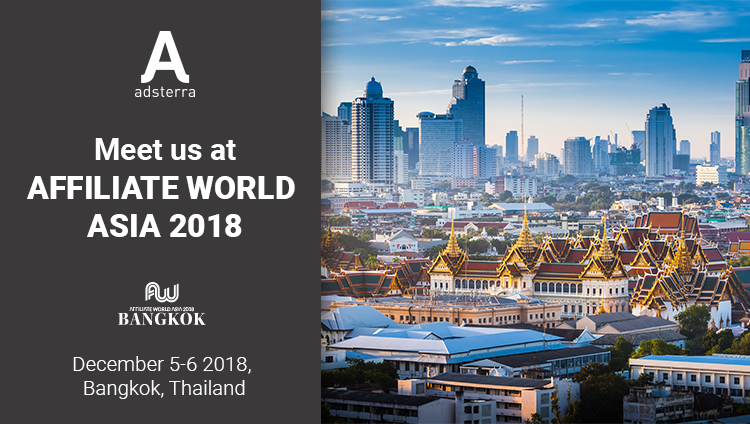 Adsterra team is eager to meet you at Affiliate World Asia, the greatest meeting point for digital marketers and e-commerce businessmen. The event is held In Bangkok, Thailand from 5 till 6 of December. Afiliate World Asia 2018 gathers over 3 000 attendees aiming to share experience, talk innovation and set new business contacts. 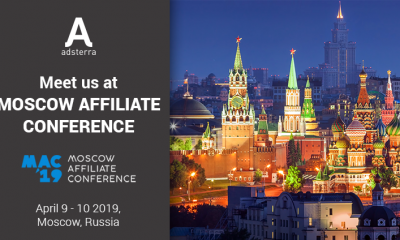 Over 110 advertisers, 150 affiliate networks and 45+ traffic sources are going to attend: Adsterra can offer high-quality service for actors from any of those three divisions. best strategy for specific vertical or niche of your business! Adsterra team will be happy to meet you in person to discuss ongoing business and partnership prospects. Book your meeting today and meet us at Affiliate World Asia!